Suncombe BioWaste Effluent Treatment Plants (ETP) decontaminate liquid hazardous infectious waste streams for research, production, laboratory and bio-containment environments. 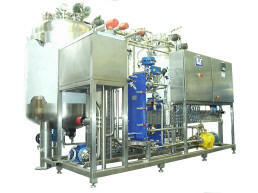 Also termed Effluent Treatment Plants (ETP) and Effluent Decontamination Systems or Effluent Decontamination Station (EDS). Using robust, proven design principles, the systems deal with BL Bio Safety Level 1 to 4 waste and take into account two main areas of concern. Firstly the systems effectively sterilise or inactivate any harmful pathogens in the waste stream and secondly total containment must be assured at all times. 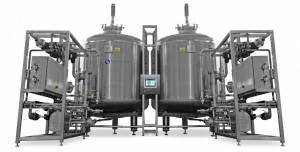 We offer Continuous Flow BioWaste effluent decontamination systems (EDS) and Batch BioWaste decontamination systems. 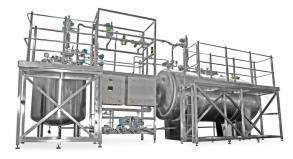 Our systems are available for both thermal, thermochemical and chemical inactivation. Thermal inactivation can be performed using steam, super heated water or an established licensed electrical heating technique which minimises time and space. Combining the confidence of positive release for treated waste, inherent in the 'Batch' process and the processing speed of the continuous process, Suncombe's new Hybrid Treatment philosophy is available throughout the range. The hybrid treatment methodology of the Suncombe BioWasteBatch™ETP systems has recently been used on a large CL3 and CL4 facility and is being used for the manufacture of a new CL4 and a new CL3 facility.